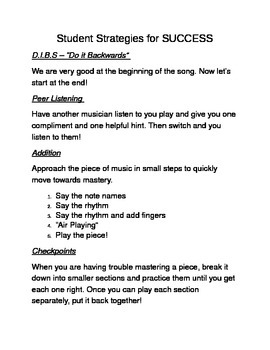 This is a list of strategies I use within my band and orchestra classroom. My students learn these strategies and become masters of them so they can utilize them while they practice. By understanding and applying these strategies at the beginning level, they become more fundamentally sound musicians.